TXA is a synthetic derivative of the amino acid lysine. It is an anti-fibrinolytic agent that acts by binding to plasminogen and blocking the interaction of plasminogen with fibrin, thereby preventing dissolution of the fibrin clot. Two main studies, CRASH-2 and MATTERS, provide the most compelling evidence for the use of TXA in trauma. The CRASH 2 trial is one of the first large studies to show a significant mortality benefit with the early administration of TXA. It was a large pragmatic international randomized placebo-controlled trial of the effects of the early administration of TXA (1 g over 10 minutes intravenously administered, then an intravenous infusion of 1 g over 8 hours) on 28-day hospital mortality, vascular events, and transfusions in adult trauma patients. The trial enrolled > 20 000 patients from 274 hospitals across 40 countries who either had significant bleeding or were at risk of significant bleeding. All-cause mortality reduction was 1.5%, with a NNT of 67 to save one life over 28 days. On the basis of the CRASH-2 Trial results, it has been estimated that TXA use could save between 70,000 and 100,000 lives per year worldwide. Considering the mortality benefit and the absence of evidence in the study to suggest a risk of harm, this is a significant result. The results from the CRASH-2 Subgroup analysis indicated that TXA should be given as early as possible to trauma patients who have bleeding. For trauma patients who received TXA > 3 hours after injury TXA was harmful. The MATTERS study was published in 2012 by Morrison and colleagues. This was a retrospective observational study comparing TXA to no TXA in combat casualty patients. There were a total of 896 trauma patients; and 293 received TXA. Trauma patients were identified from UK and US trauma registries and all patients were treated in a surgical hospital in southern Afghanistan. The primary end points were 24 hour, 48 hour, and in-hospital mortality. The results from the MATTERS study showed that the TXA group had lower unadjusted mortality than the non-TXA group despite being more severely injured. This benefit was greatest in Massive Transfusion patients, where TXA was also independently associated with improved survival and less coagulopathy (OR, 7.228). Thrombotic events were significantly increased in the TXA group for both PE and DVT in the overall cohort and in the Massive Transfusion cohort. However, after correcting for severity of injury, there was no association of TXA use with an increased risk of DVT or PE. A meta-analysis published in the Lancet in 2018 assessed anti-fibrinolytics in acute, severe bleeding. The investigators obtained data from more than 40,000 patients from two randomized trials of TXA in acute severe bleeding from trauma and PPH. 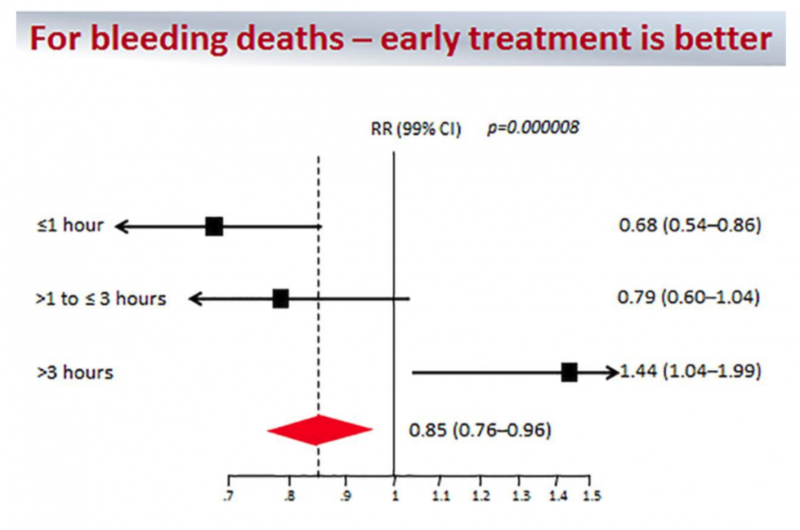 The primary measure of treatment benefit was absence of death from bleeding. Forty percent of patients had death from bleeding. Most (approximately 63%) occurred within 12 hours of onset and deaths from post-partum hemorrhage peaked 2–3 h after childbirth. 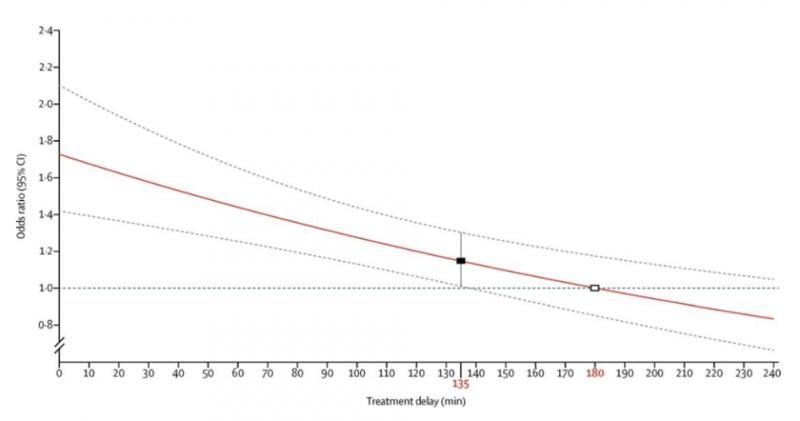 Figure: The red line shows the best fitted model for the association between the protective effect of TXA (odds ratio for not dying from bleeding) and the duration of treatment delay in minutes. The white square shows the timepoint at which the model estimates a null effect of tranexamic acid (a treatment delay of 180 min). STAAMP: Study of TXA during air medical pre-hospital transport: This multicenter trial is enrolling adult trauma patients being transported via air medical services from scene or referring hospital, with SBP <90 mm Hg or heart rate >110 bpm and within 2 hours of injury. PATCH (Pre-hospital Antifibrinolytics for Traumatic Coagulopathy & Haemorrhage) study: The PATCH-Trauma study is an international multicenter randomized, double-blind, placebo-controlled trial of pre-hospital TXA treatment for severely injured patients at risk of acute traumatic coagulopathy. The study aims to determine the effects of early TXA administration on survival and recovery of severely injured patients treated within advanced trauma systems in Australia and New Zealand. Pre-hospital TXA for TBI: An additional pre-hospital, multicenter, randomized, clinical trial aims to determine the efficacy of two pre-hospital TXA doses in moderate/severe TBI (GCS ≤12) compared to placebo. TXA saves lives in trauma with a maximal benefit when given early. The frequency of thrombotic events among trauma patients who receive anti-fibrinolytic agents is not fully known from the clinical trials performed to date. Excited delirium is a syndrome characterized by delirium, agitation, and hyper-adrenergic autonomic dysfunction. This is a rare condition and the evidence for the use of ketamine in excited delirium is limited to small studies. Ketamine is an ideal agent for sedating these patients as it can be given intramuscularly, in a single dose and has an immediate effect. Published Case Reports demonstrated the safety of ketamine when compared to Midazolam in the pre-hospital setting for the treatment of Excited Delirium. There is a role for Ketamine in the treatment of pre-hospital excited delirium. Ketamine has been approved for use in Excited Delirium and will be available to Ontario Paramedics for this indication by the fall of 2018. Patients transported to PCI-capable centers had higher rates of survival to hospital discharge than patients transported to non-PCI centers (33.5% for PCI vs 14.6% for non-PCI). This effect was consistent for short, medium, and long transport times. This study provides evidence to support the theory that patients experiencing an out-of-hospital cardiac arrest have better outcomes when transported to a PCI-capable hospital, even if this means bypassing non–PCI capable facilities. There is good evidence to suggest that transporting OHCA patients by EMS directly to a specialist cardiac arrest center is associated with improved outcomes. The Ottawa ROSC bypass protocol (presented below) goes into effect on May 16, 2018. 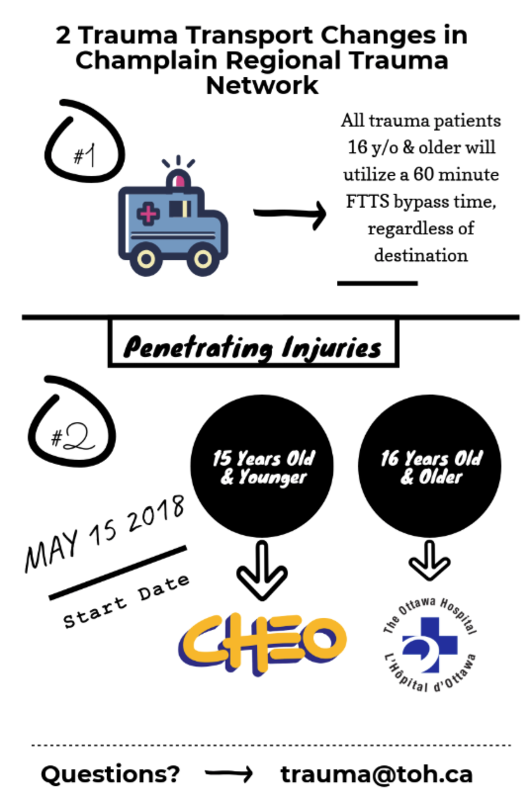 The new Ottawa pediatric trauma bypass protocol goes into effect on May 15, 2018. The adult hospitals in our region have more experience with ED thoracotomy which these patients may require. Taking these factors into consideration, new changes were made to the trauma bypass protocol. We hope that these new changes will improve patient outcomes. This is a brief overview of the paramedic’s scope of practice in managing OOH childbirth emergencies. Burnett AM, Salzman JG, Griffith KR, Kroeger B, Frascone RJ. The emergency department experience with prehospital ketamine: a case series of 13 patients. Prehosp Emerg Care. 2012 Oct-Dec;16(4):553-9. Cole JB, Klein LR, Nystrom PC, Moore JC, Driver BE, Fryza BJ, Harrington J, Ho JD. A prospective study of ketamine as primary therapy for prehospital profound agitation. Am J Emerg Med. 2018 May;36(5):789-796. Gayet-Ageron A, Prieto-Merino D, Ker K, Shakur H, Ageron FX, Roberts I; Antifibrinolytic Trials Collaboration. Effect of treatment delay on the effectiveness and safety of antifibrinolytics in acute severe haemorrhage: a meta-analysis of individual patient-level data from 40 138 bleeding patients. Lancet. 2018 Jan 13;391(10116):125-132. Lee TR, Hwang SY, Cha WC, Shin TG, Sim MS, Jo IJ, Song KJ, Rhee JE, Jeong YK. Role of coronary angiography for out-of-hospital cardiac arrest survivors according to postreturn of spontaneous circulation on an electrocardiogram. Medicine (Baltimore). 2017 Feb;96(7):e6123. Linder LM, Ross CA, Weant KA. Ketamine for the Acute Management of Excited Delirium and Agitation in the Prehospital Setting. Pharmacotherapy. 2018 Jan;38(1):139-151. Mannucci PM, Levi M. Prevention and treatment of major blood loss. N Engl J Med. 2007 May 31;356(22):2301-11. Morrison JJ, Dubose JJ, Rasmussen TE, Midwinter MJ. Military Application of Tranexamic Acid in Trauma Emergency Resuscitation (MATTERs) Study. Arch Surg. 2012 Feb;147(2):113-9. Napolitano LM. Prehospital tranexamic acid: what is the current evidence? Trauma Surg Acute Care Open. 2017 Jan 13;2(1):e000056. Olives TD, Nystrom PC, Cole JB, Dodd KW, Ho JD. Intubation of Profoundly Agitated Patients Treated with Prehospital Ketamine. Prehosp Disaster Med. 2016 Dec;31(6):593-602. Patel N, Patel NJ, Macon CJ, Thakkar B, Desai M, Rengifo-Moreno P, Alfonso CE, Myerburg RJ, Bhatt DL, Cohen MG. Trends and Outcomes of Coronary Angiography and Percutaneous Coronary Intervention After Out-of-Hospital Cardiac Arrest Associated With Ventricular Fibrillation or Pulseless Ventricular Tachycardia. JAMA Cardiol. 2016 Nov 1;1(8):890-899. 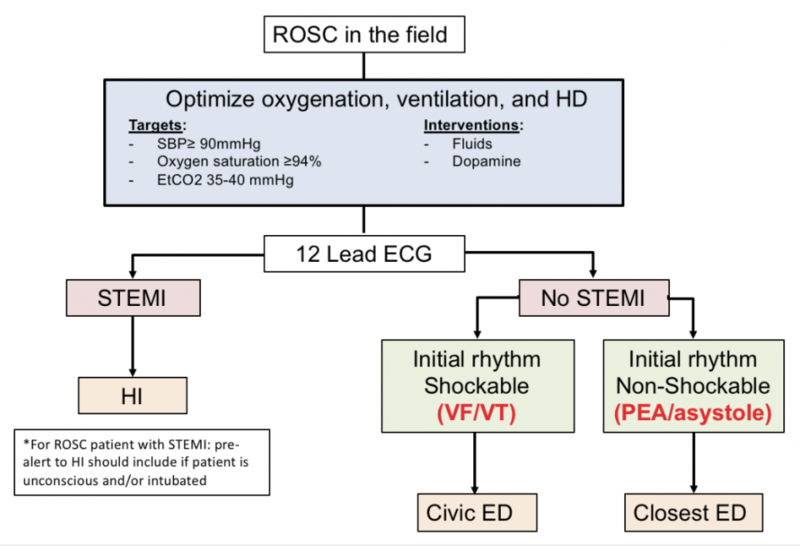 Patterson T, Perkins GD, Joseph J, Wilson K, Van Dyck L, Robertson S, Nguyen H, McConkey H, Whitbread M, Fothergill R, Nevett J, Dalby M, Rakhit R, MacCarthy P, Perera D, Nolan JP, Redwood SR. A Randomised tRial of Expedited transfer to a cardiac arrest centre for non-ST elevation ventricular fibrillation out-of-hospital cardiac arrest: The ARREST pilot randomised trial. Resuscitation. 2017 Jun;115:185-191. Roberts I, Shakur H, Afolabi A, Brohi K, Coats T, Dewan Y, Gando S, Guyatt G, Hunt BJ, Morales C, Perel P, Prieto-Merino D, Woolley T. The importance of early treatment with tranexamic acid in bleeding trauma patients: an exploratory analysis of the CRASH-2 randomised controlled trial. Lancet. 2011 Mar 26;377(9771):1096-101, 1101.e1-2. Roberts I, Shakur H, Ker K, Coats T; CRASH-2 Trial collaborators. Antifibrinolytic drugs for acute traumatic injury. Cochrane Database Syst Rev. 2012;12:CD004896. Scaggs TR, Glass DM, Hutchcraft MG, Weir WB. Prehospital Ketamine is a Safe and Effective Treatment for Excited Delirium in a Community Hospital Based EMS System. Prehosp Disaster Med. 2016 Oct;31(5):563-9. Scheppke KA, Braghiroli J, Shalaby M, Chait R. Prehospital use of i.m. ketamine for sedation of violent and agitated patients. West J Emerg Med. 2014 Nov;15(7):736-41. Shakur H, Roberts I, Bautista R, Caballero J, Coats T, Dewan Y, El-Sayed H, Gogichaishvili T, Gupta S, Herrera J, Hunt B, Iribhogbe P, Izurieta M, Khamis H, Komolafe E, Marrero MA, Mejía-Mantilla J, Miranda J, Morales C, Olaomi O, Olldashi F, Perel P, Peto R, Ramana PV, Ravi RR, Yutthakasemsunt S. Effects of tranexamic acid on death, vascular occlusive events, and blood transfusion in trauma patients with significant haemorrhage (CRASH-2): a randomised, placebo-controlled trial. Lancet. 2010 Jul 3;376(9734):23-32. Tranberg T, Lippert FK, Christensen EF, Stengaard C, Hjort J, Lassen JF, Petersen F, Jensen JS, Bäck C, Jensen LO, Ravkilde J, Bøtker HE, Terkelsen CJ. Distance to invasive heart centre, performance of acute coronary angiography, and angioplasty and associated outcome in out-of-hospital cardiac arrest: a nationwide study. Eur Heart J. 2017 Jun 1;38(21):1645-1652. Vyas A, Chan PS, Cram P, Nallamothu BK, McNally B, Girotra S. Early Coronary Angiography and Survival After Out-of-Hospital Cardiac Arrest. Circ Cardiovasc Interv. 2015 Oct;8(10). 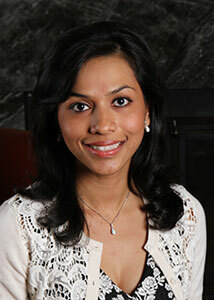 Dr. Ayesha Zia is an fourth year FRCP Emergency Medicine resident at the University of Ottawa, with a special interest in EMS, medical education and healthcare delivery to marginalized populations. Dr. Richard Hoang is a 3rd year Emergency Medicine Resident at the University of Ottawa with a variety of academic interests including military medicine, simulation, FOAMed, and social media. World-Class Emergency Medicine: To provide outstanding compassionate emergency care through practice-changing research and innovative medical education. 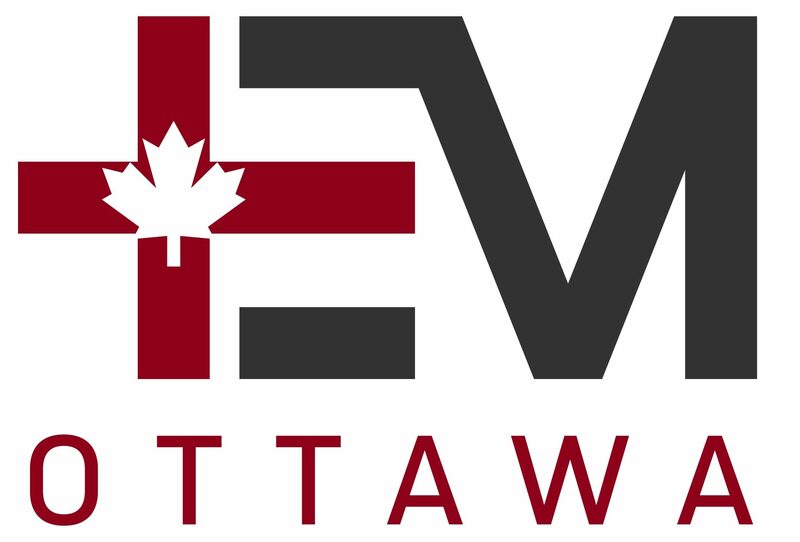 For more about our department, visit us at EMOttawa.